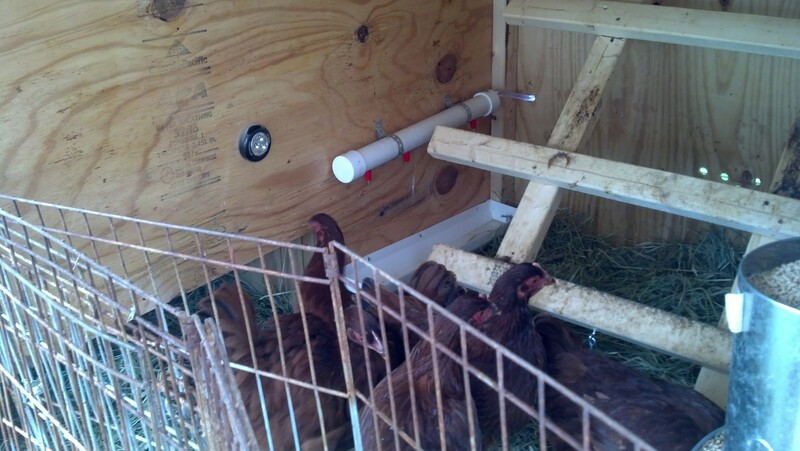 One of the last steps to complete the coop: indoor waterer and feeder. Ray ran a piece of flexible gutter from the top of the door to the feeder. 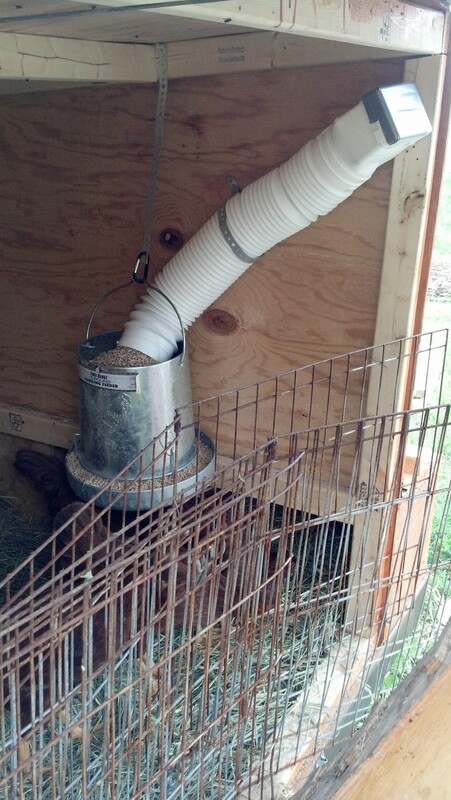 In order to keep the hens’ food out of the way of their laying boxes, Ray hung it from the top of the coop using galvanized plumber’s tape. To fill the feeder, all we will have to do is open the big door and pour feed into the opening of the gutter once a week. Ray opened the big door and put some fencing up so he could observe the ladies while they ate. As you can see, they can get to the food just fine. I think they were a bit offended that Ray had the gall to watch them. “A gentleman should never watch a lady eat,” clucked Esther. He also set up the indoor watering system and the girls had a blast with this new toy. He had to saw off part of the bottom roost to provide access, but they really never used that part anyway. The drip tray drains to the outside of the coop. 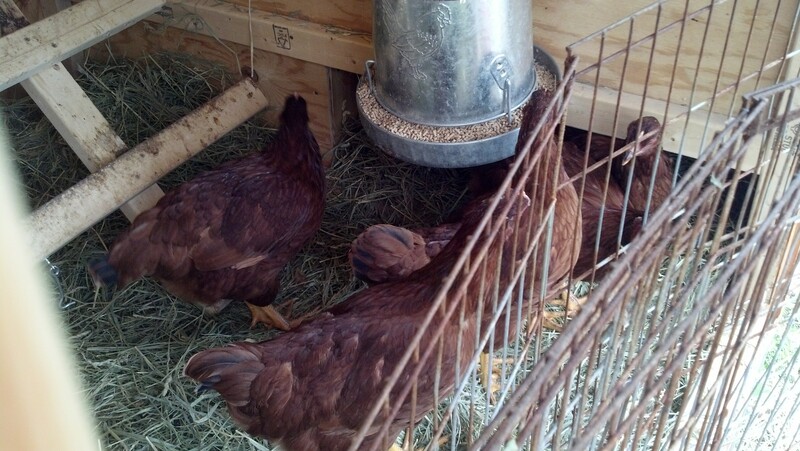 My girls have fresh bedding, water inside and out and an feeder that we will only need to fill once a week. I’d say they are pretty happy. 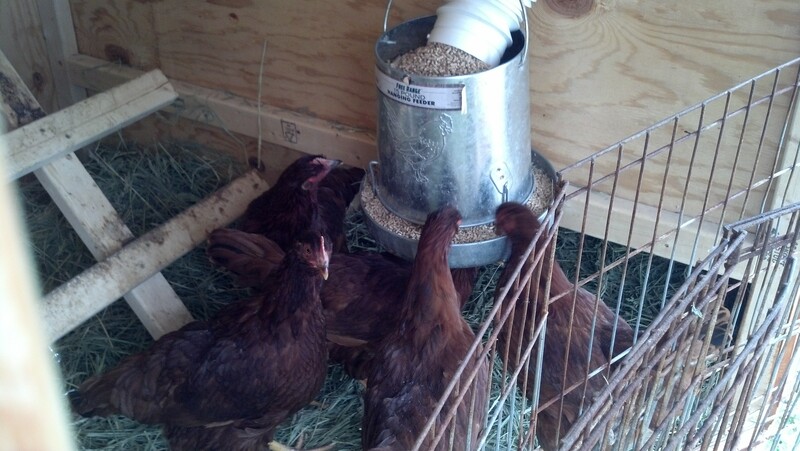 This entry was posted in Chickens!, Preparedness, Writing. Bookmark the permalink.